HardDriveHotel provides a comprehensive range of web hosting and co-location related services to fit your hosting solution needs including shared web hosting, virtual private servers, dedicated machines, and private colocation space. We understand some hosting solutions require unique builds and configurations, while we do offer some base packages we also provide the option for custom built dedicated servers using Linux or Windows operating systems. We know reliability, customer support, and security are important to your success. To ensure we meet your needs, we purchase high quality hardware and equipment, we build reliability and redundancy into our systems and perhaps just as importantly, we provide customer support systems that are built to exceed your expectations. Unlike many hosting providers, HardDriveHotel provides the same high level of support to our smallest clients that we do to our largest. We know that no matter what size hosting plan you have selected with us it is mission critical to you. 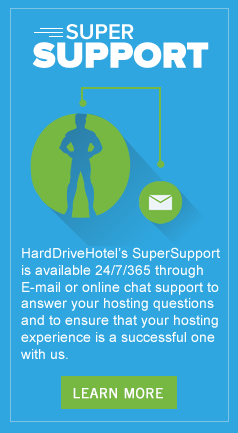 Our customer service technicians work hard to ensure your hosting experience with HardDriveHotel is successful. 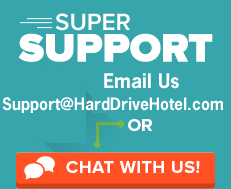 If you do need to contact support, support tickets can be submitted 24/7 on the Support Page or email us at support@harddrivehotel.com.